This week on Tutorialzine we've prepared for you a list of 12 examples of copy-paste-able code that you can use in your next Bootstrap powered project. We've tried to select practical resources that will save you from referencing Bootstrap's docs and designing trivial components. To use these examples just grab their HTML (some have a bit of CSS as well), and put them in your project. Enjoy! A compact login and registration form in a modal. Perfect for "please log in to continue" pop-ups . 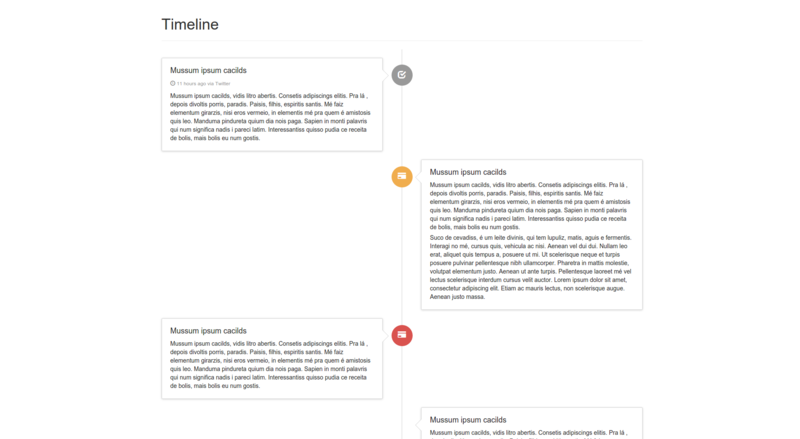 A cool structure for showing events chronologically in a clear and understandable way. 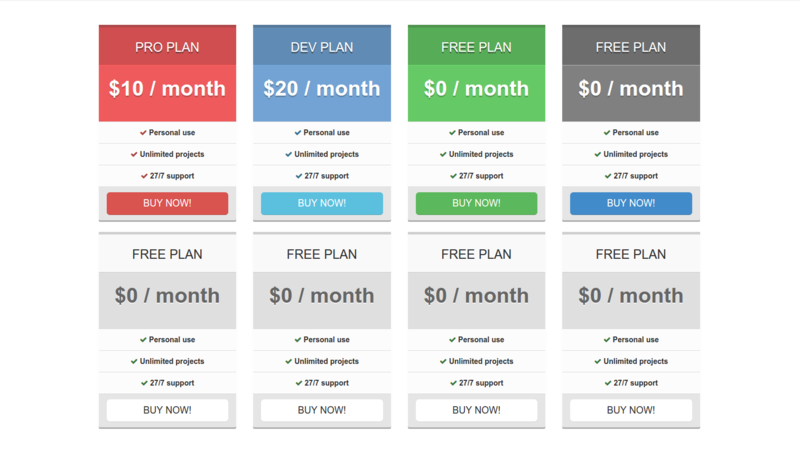 A well designed elegant layout for a pricing table with icons, buttons and highlighting. 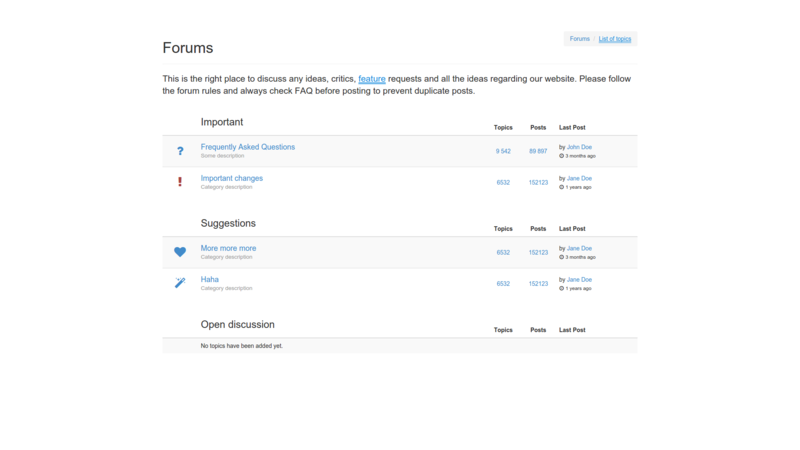 Responsive forum topics template that utilities Bootstrap's classes very well to create this clean layout with only 5 lines of additional CSS selectors. 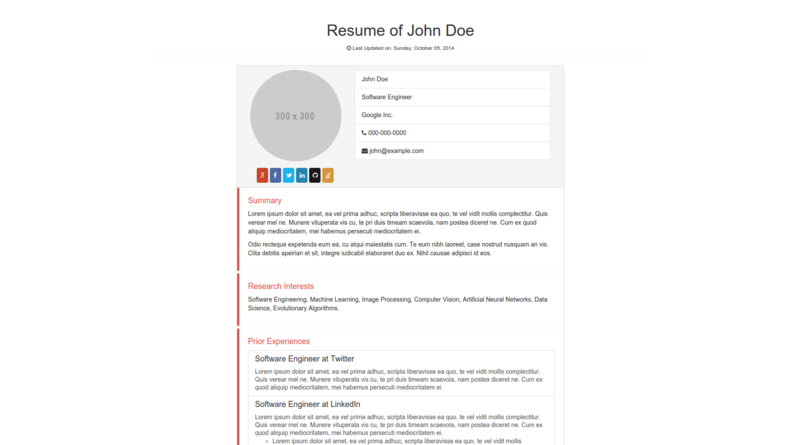 A well organised resume with separated topics, progress bars and social media buttons. A small form for online purchase information. Keep in mind, this is only an HTML snippet and there is no card number validation. 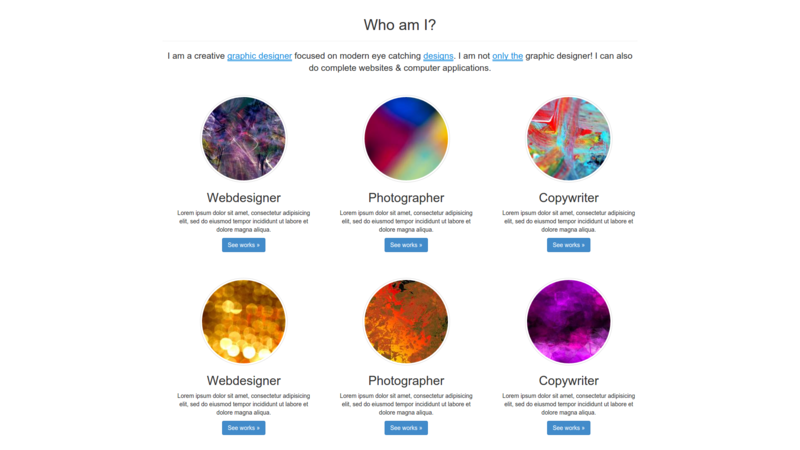 This snippet features responsive panels with smooth, CSS only, on-hover effects. 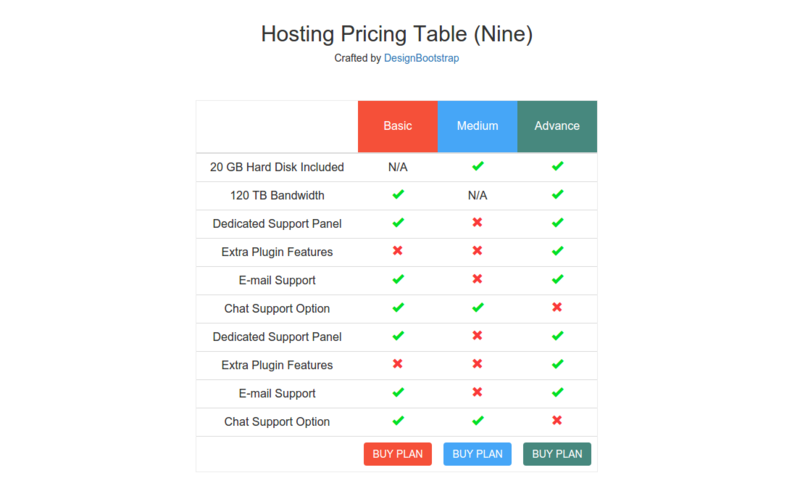 Compact pricing tables with different color variations that are easy to customize and adapt to your design. 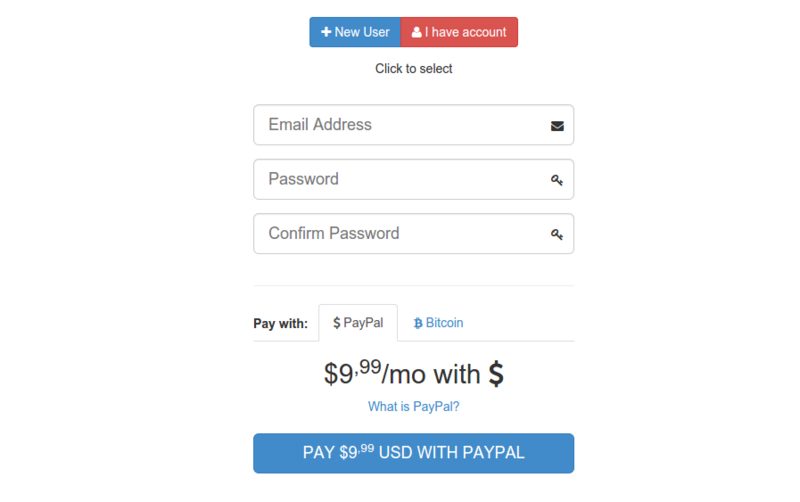 A log in / register form with separate tabs for each and a payment section. No validation provided. A compact twitter feed with a form for new posts and a list of tweets. 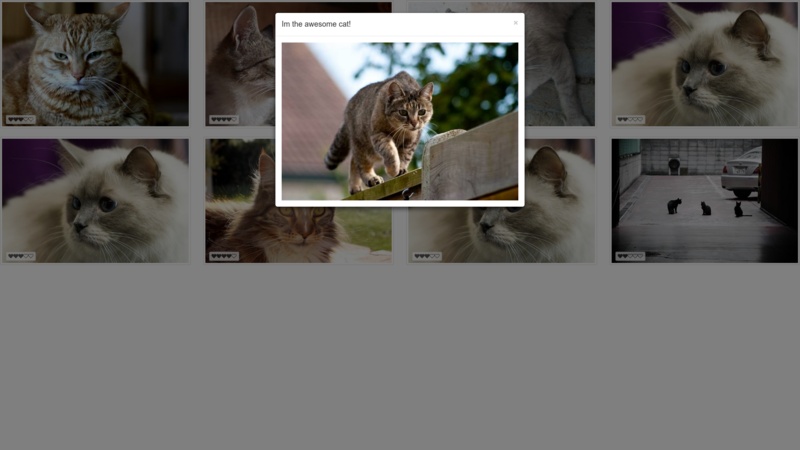 A nice little cats portfolio demonstrating Bootsrap's modal functionality. We hope you've found these premade component layouts useful for your projects, as the backbone of a more advanced design, or simply as inspiration. 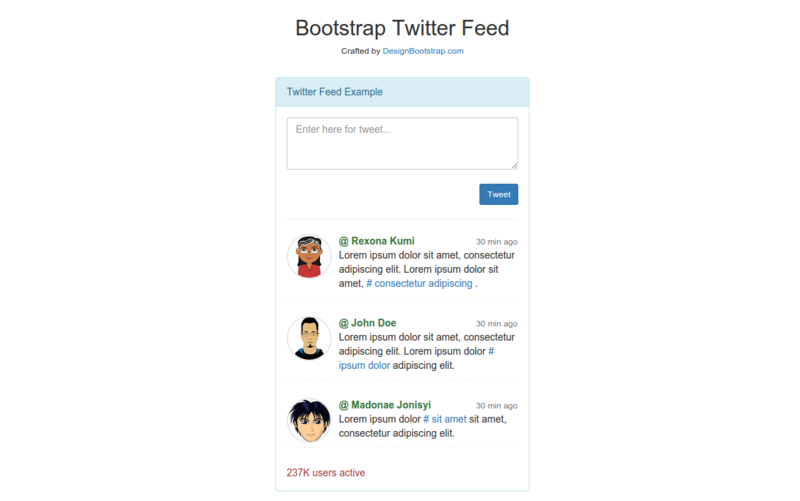 Also, check out our list of 50 Must-have plugins for extending Twitter Bootstrap, if you are interested in adding even more cool features to Bootstrap's arsenal. Awesome list! Thanks a lot. Very usefull, directly to my favs.